A water based caulk acrylic that is easy to apply. Use to seal gaps and cracks where movement can occur. 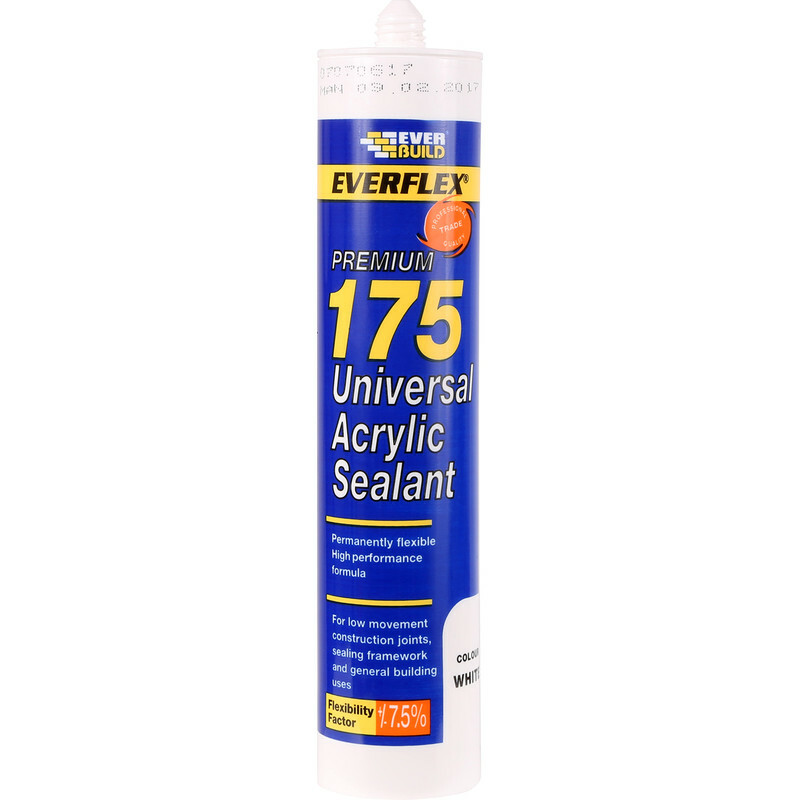 Premium Universal Acrylic Sealant 380ml is rated 4.6 out of 5 by 14. Rated 5 out of 5 by Toolman2 from The perfect sealant / filler Reviews helped me choose this product and I am glad I did. It fills and seals gaps making them invisible. A perfect finish, easy to apply and smooth over. It washes of finger or putty knife in water. This will now be my first and only choice. Rated 5 out of 5 by Diyerbasingstoke from Good product and price Did the job i wanted it to well ! Rated 5 out of 5 by Barracuda from Great probuct. I have bought this product before so I know how versatile it is. Rated 5 out of 5 by Rennie42 from Great product for the price ! Purchased this sealant to bond skirting boards to my bedroom after decorating, it was much cheaper than other outlets but it bonded perfectly . Would certainly recommend it and purchase it again !! Rated 5 out of 5 by Rennie42 from Great sealants at a great price! Fixing plastic sheets to ceiling , sealant was just perfect! Rated 4 out of 5 by Dari from Seems good so far I have used many caulk's and like to stick to a good one but at the right price the 300ml one was cheaper. I use a different frame sealant normally round windows but this product seems to do both jobs well so one tube and one gun.